Dinner & A Show? Brisbane’s Best Pre-Show Dining! Hooray! The Lion King has finally come to Brisbane and we've got the tickets firmly gripped in our Simba-loving hands. As with any event or outing, thoughts of food are never far from a TULer's mind, so naturally, we've done the necessary recon' mission to find the best pre-show dining in Brisbane to fill your belly. So faithful Urban Listers, if you are as excited about Hakuna Matata sing-alongs as we are, read on for a round up the best pre-show dining in South Brisbane. Editor's Note: Era Bistro has now closed. 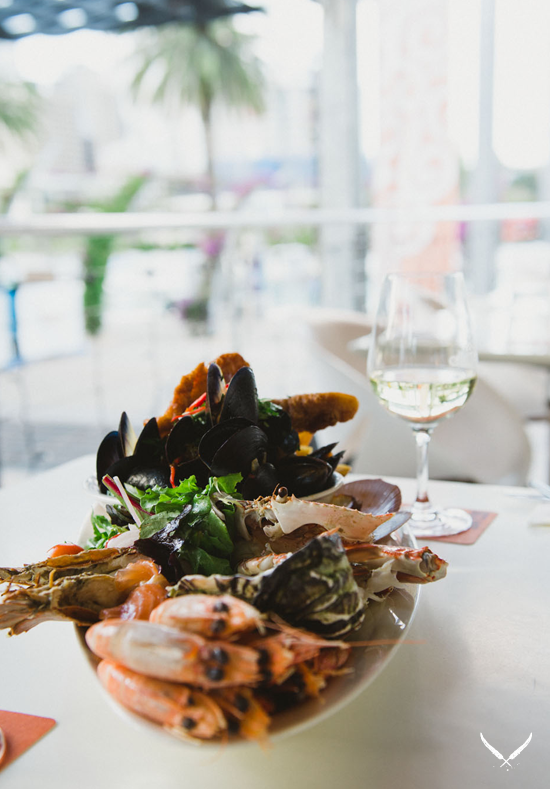 A TUL fave for their mid-week lunches, a great wine list, and a classy atmosphere wholly appropriate for starting your night at the theatre, Era Bistro serves up classic modern-Australian bistro fare made with fresh, local produce. Era Bistro is just five easy minutes to QPAC, and their pre-show dining menu—available Monday to Saturday—is just $49 for two-courses, with a guaranteed hour and 15 minute turn around (6pm–7.15pm). Parking is validated for 3 hours, and from then on it's cheap as chips ($13 flat rate) in case you want an après-show tipple. Sounds like a good night out to us! If a matinee show is more your thing, hit up Era's 'pre-matinee show lunch special' for $35: two-courses and you'll be in by 12pm out by 1.15pm. A surf club right in the heart of the city is a bit of a novelty, but who can argue with a straight-up classic pub meal before partaking in a touch of culture? We think Pumba—the ultimate livin' the good life aficionado—would approve of SBSC's delish menu (hold the pork, obviously), and a vino or two as the sun goes down, and the curtain goes up. Just a hop, skip and jump up across the road from QPAC, The Fox Hotel has many an option for pre-show hangs. Cocktails while watching the twinkling skyline at Dandy's Rooftop, dinner at Fish Lane Bistro (hello, all-you-can-eat Mussel Thursday!) or a pint and a burger in the Long Bar, you'll be spoiled for choice. West End institution Lock 'n' Load brings the goods for pre-show dining, with a fun atmosphere sure to put you in the mood for a bit of theatrics. Their gastro-pub menu with loads of quirk and creative flavor combo's makes for a great dinner, and we would recommend wetting your whistle with one of their many fab' cocktails before the short jaunt to South Bank. We don't know about you but we like our steaks firey and delicious here at TUL headquarters, and new South Bank restaurant LiveFire Steak Bar has both categories nailed. The Grazing section of the menu is the perfect start to a night out on the town, but if you have a hunger the size of the continent of Africa, the BBQ section is our recommendation. Casting a charming shadow just across the road from the performing arts centre, The Charming Squire has a couple of options when it comes to the pre-show chow down. Book in to the restaurant for a full-service a la carte meal with table service, or order a quick meal from the bar while sipping on one of the 22 James Squire beers on tap. A secret bar hiding in plain site at South Bank, Hoo Ha Bar will be hard to leave once you settle in for dinner and a drink. Hoo Ha is a boutique brew bar and bistro that takes their hops very seriously, but the team has recently turned their discerning eye to dinner with delicious results. Nosh on the meat platter with your date before hightailing to the show! Click here for more of the best pre-show dining in Brisbane!